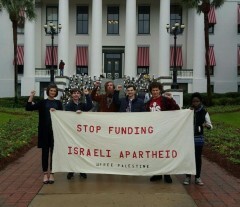 Florida State students speak out against Florida/Israeli anti-BDS bill | Fight Back! 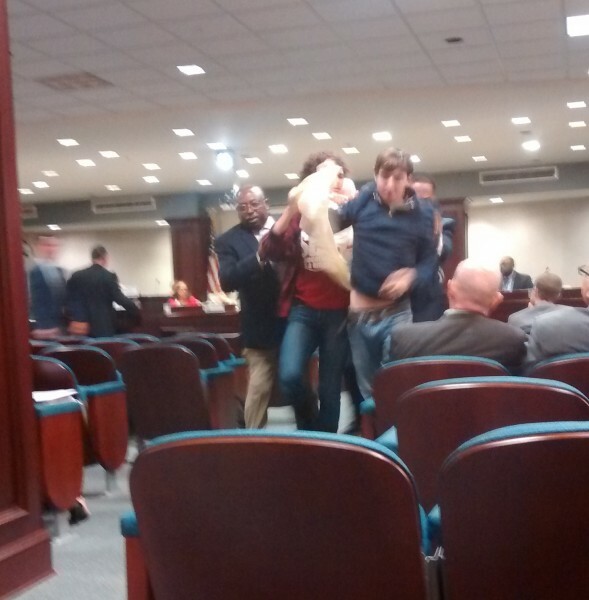 Tallahassee, FL - On the morning of Feb. 4, a group of Florida State students and community activists attended the Florida House State Affairs Committee to speak out against proposed House Bill 527. The bill, sponsored by Florida Representative Ritch Workman of Melbourne, would penalize companies for participating in the growing movement to boycott, divest and sanction (BDS) the illegal Israeli occupation of Palestine. Immediately before passing the bill to blacklist companies that boycott Israeli apartheid, the committee took the bizarre step of voting to condemn the BDS movement on human rights grounds. The politicians claim the BDS movement is anti-Semitic and anti-Jewish. During public comment, activists spoke out against the outrageous and reactionary resolution. "The proposed legislation makes the mistake of calling the BDS movement anti-Jewish. BDS targets practices and policies, not religion. I implore legislators, media and citizens; do not make the mistake of equating an apartheid Jewish state with Judaism. To do so is irresponsible and ahistorical," said Aaron Ellis, co-president of Students for Justice in Palestine at Florida State University. The students and activists gave testimony detailing the human rights abuses committed by the Israeli government against Palestinians. They called on the committee to support the BDS movement for human rights. “It is disgusting that the U.S. would rather forgo paying for education, health care and basic infrastructure in order to support the ethnic cleansing of Palestinians, spending $10 million a day to support the murderous military of Israel,” said Regina Joseph, a member of Students for a Democratic Society (SDS) at Florida State University. 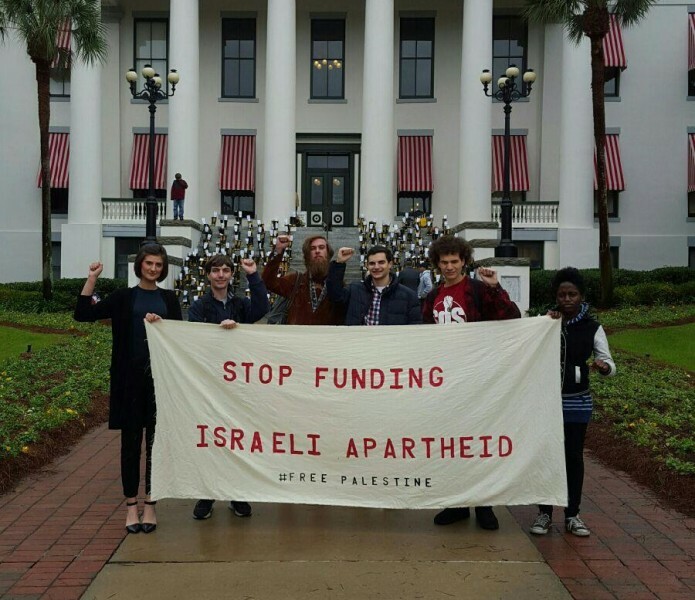 After the politicians on the committee moved to vote on the bill, student activists began chanting, “Not another nickel, not another dime, no more money for Israel’s crimes!” and tried to raise a banner saying “Stop funding Israeli apartheid” in front of the committee. The protesters were forcibly removed from the committee room by security guards. The committee proceeded to vote for the bill. The entire Florida House is likely to vote on the bill in coming weeks. “Whether you’re an activist, a student, a scholar, a victim or a member of a research institution that has time and time again revealed Israel’s unilateral violations of the Fourth Geneva Convention, your opinion doesn’t matter,” said Albert Kishek, president of Students for Justice in Palestine at Florida State University.